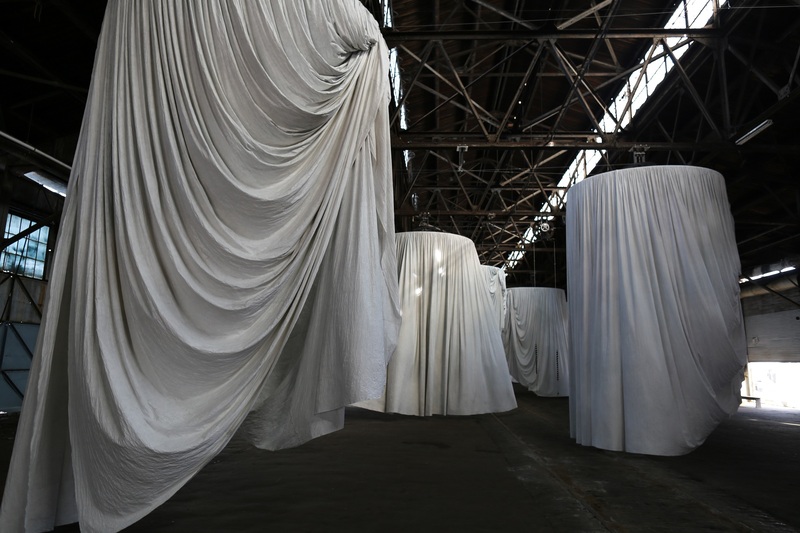 Ann Hamilton, habitus. Installation Pier 9, Philadelphia, Fabric Workshop and Museum. Nursing Dress, c. 1845. American. Printed cotton. Gift of Mrs. Louis P. Merriman, Wadsworth Atheneum. Deborah Berger (1956–2005), Untitled (Mask), East Windsor, New Jersey, before 1984, knitted orlon (detail), Collection American Visionary Art Museum, Baltimore, gift of the Arts Council of New Orleans. Photo by Mary Dwan. The Coby Foundation, Ltd., located in New York City, funds projects in the textile and needle arts field. Its funding is limited to non-profit organizations in the Mid-Atlantic and New England. The Coby Foundation was established in 1994 by Irene Zambelli Silverman in honor of her mother, Irene Meladakis Zambelli. Mrs. Silverman described her mother as “the finest needlewoman in New York.” Since it began its grantmaking in 2002, the Foundation has awarded more than $5 million to over 170 projects. The Coby Foundation does not fund operations, such as staff salaries and overhead; capital projects; and courses, scholarships and fellowships at degree-granting institutions. We strongly encourage applicants to submit a short letter of inquiry including a project description, dates and a budget with projected income and expenses. Upon receipt of a positive response, applicant may submit an application. The Foundation’s Board, which reviews all applications that the Executive Director has invited, meets three times a year, generally in January, May and September. Please contact us regarding submission deadlines.